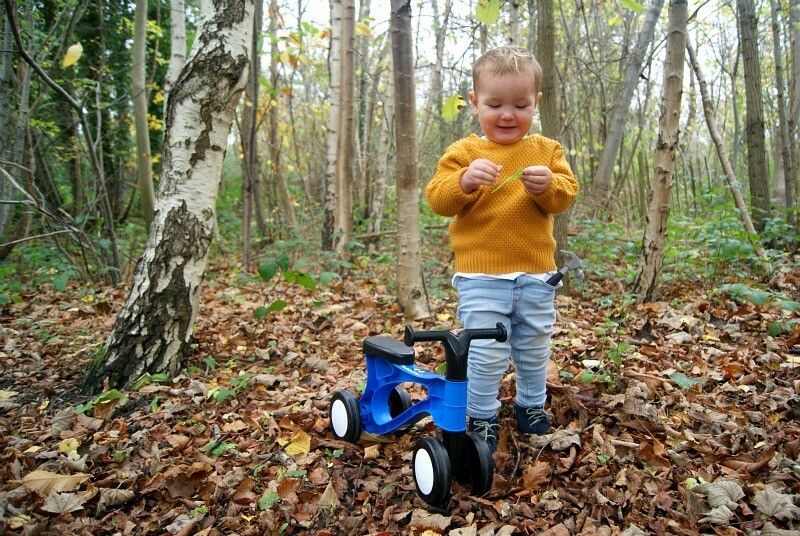 For the Last month my little Archie has been testing out the Toddlebike2 and I can honestly say I have never known him to love something this much (apart from his hammer!). His Toddlebike2 comes along everywhere with us. We have taken it to the park, to do the weekly shop, on family walks, in the car, to granny’s house and on the school run. It is so light weight he can carry it himself which he is ever so proud of, (and throw it around, lucky it is robust enough!). We can attach it to the buggy and because it is so light it is no trouble at all to take with us wherever we go. At first he wasn’t so quick on it, but after using it nearly everyday for the past few weeks he is a pro and speeds along. Archie is nearly two, and is quite tall. So he is just about the right size for it. It does state on the website that it is suitable from the age of 18 months. 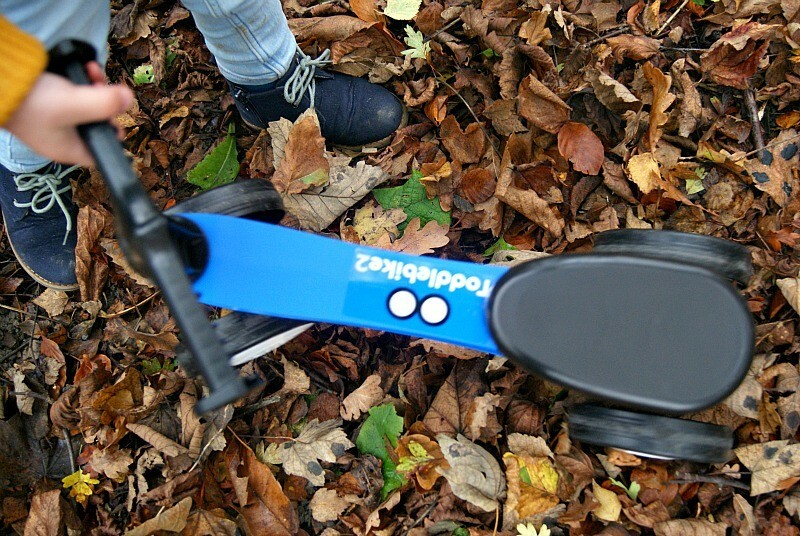 However if I had known about it sooner I would have purchased one for him when he was much younger, because there is nothing like this available for younger children without pedals or adult support. 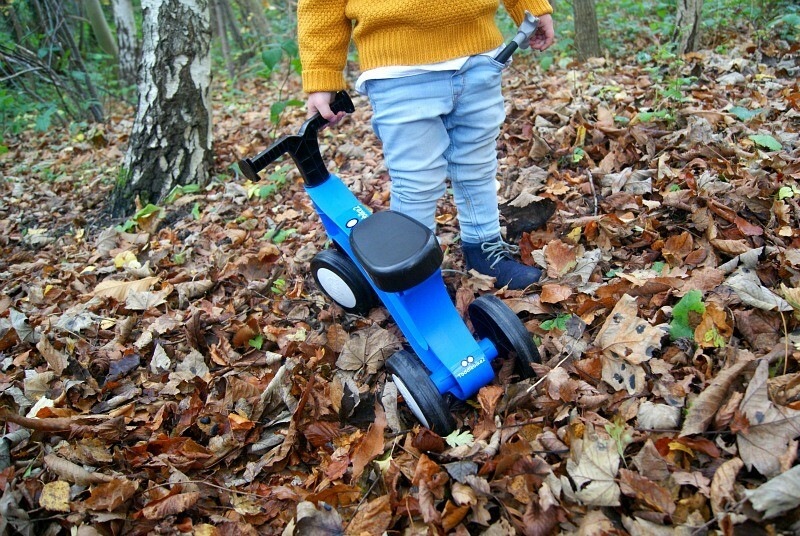 So the Toddlebike2 is great for creating independence. It really is a lovely bike. My son loves it and of course that says it all. 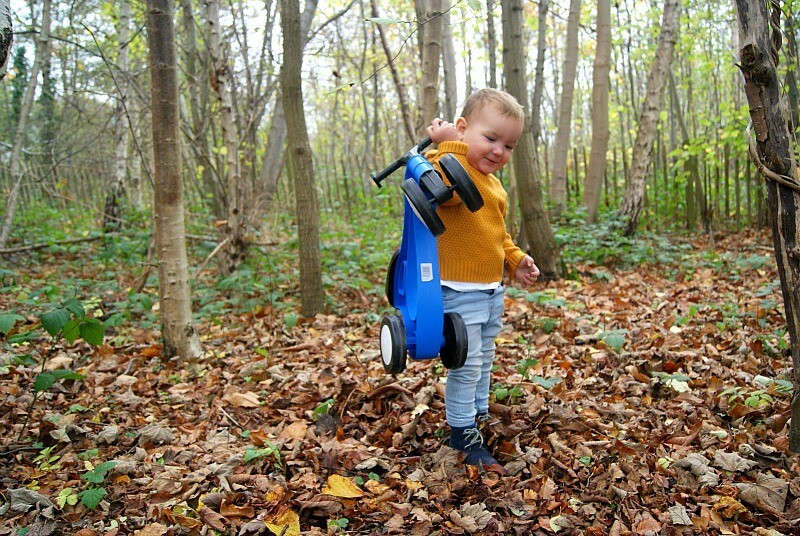 I can see him loving his Toddlebike2 for a long time coming. He loves being independent and walking along wherever he can. So it is nice he has the Toddlebike2 to use as an alternative to walking. 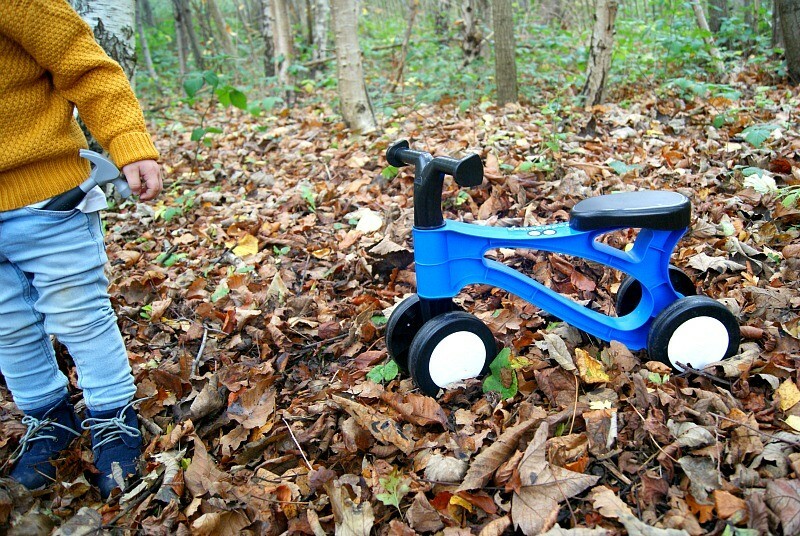 The Toddlebike2 comes in 3 different colours. What I love most about it is that it is robust considering how lightweight it is. Because it is so lightweight it makes it very easy to transport or even carry wherever you go. My son took to using it very easily which is great. And as he uses it more I am most certain that it will help teach him to balance ready for a big boys bike when he is older. He has really enjoyed testing it out and he always gives me the most checkiest grin when he is on it. He is ever so proud of himself and it is lovely to see. 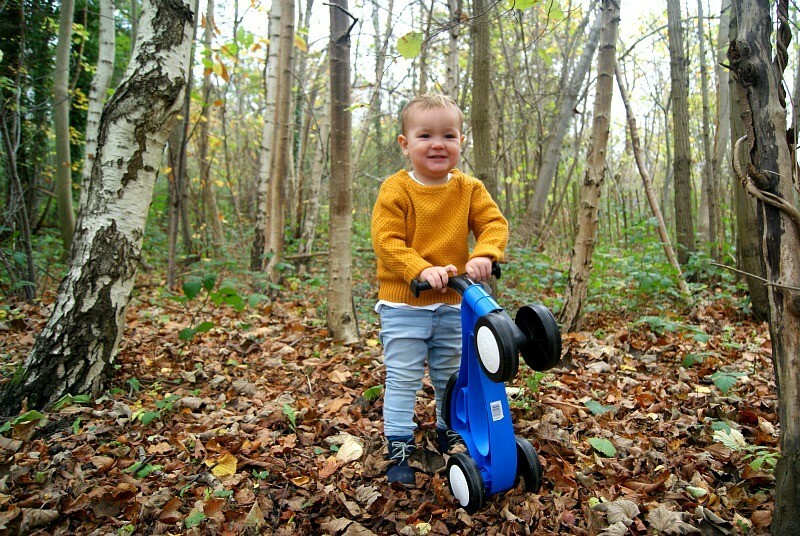 The Toddlebike can be bought from www.toddlebike.co.uk or John Lewis for £23.95.